A caravan awning allows you to do daily activities (sleeping, cooking, eating and entertaining) outdoors, plus getting some fresh air out of direct sunlight. Like caravans, awnings can go in a great number of dimensions and configurations. Before picking the right one for you, you have to consider all factors such as size, shape, colour, and materials. In this article, Alan Graham’s will show you the options on the market and explain some of the differences to point you in the right direction. 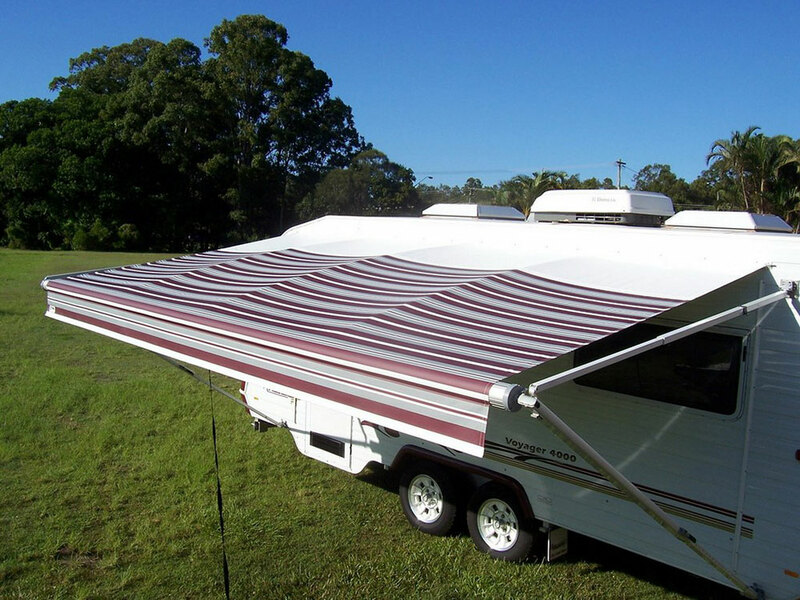 What type of awning do you want? The first thing to consider the type of awning you need. Type refers to the awning construction and there are several available in the market. 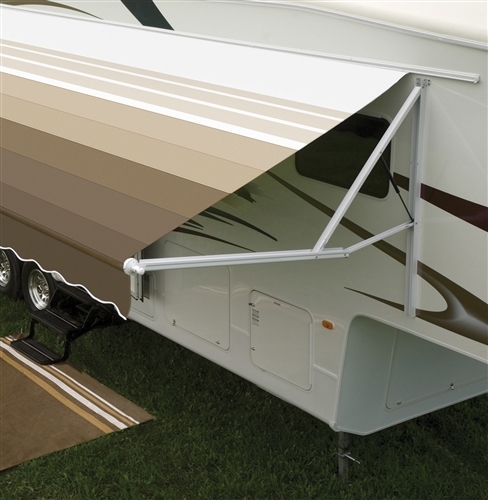 The material of the caravan awning’s fabric is as important as the awning itself. There are 3 main types of awning fabrics available in the market. Also known as the classic fabric. It is the caravan awning manufacturers’ favorite due to its natural fiber-cotton and the ability of remaining in good condition for a long time. Canvas awnings are beneficial in keeping the temperature moderate even in extreme conditions. Known best for their heat protection, awnings from this category would also keep your caravan’s interior warm in those cold winters. More recently in the Australian market, canvas caravan awnings are available in multiple colour choices on both sides of the canvas. Made of PVC, a mesh or screen fabric is unfadeable. Compared with canvas fabric, a mesh one is not as efficient as in blocking sunlight. 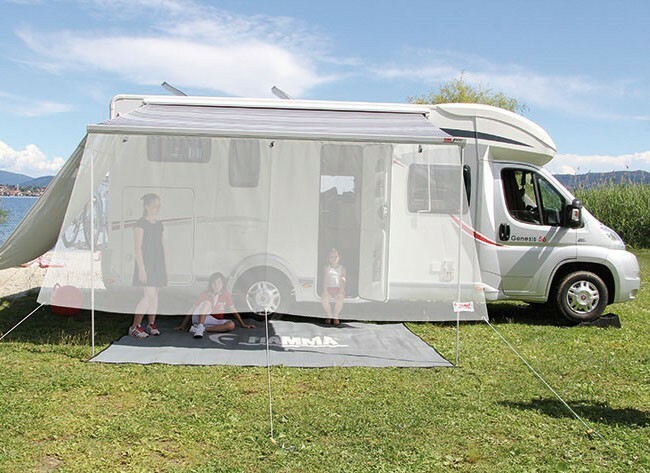 Because a mesh fabric is transparent, if you want to see the outside scenery through your material, you won’t go wrong with a caravan awning made from this type of fabric. Acrylic fabric is the lightest among three types so ideal for folding arms awnings. Acrylic fabric allows sunlight to pass through it but it is not as transparent as mesh fabric. It is still helpful in regulating temperature at the level in between of canvas fabric and mesh fabric. If you want to enhance the design of your outdoor area, acrylic fabric is available in multiple colours, thus providing you with a great range of options to choose from. Based on each material’s functionality, you can quickly assess what you need. If you want to look for heat protection, you may want canvas fabric. If you do not care about the heat and want to have a transparent view of the outside, a mesh fabric is the best option. And finally, if you look for something stylish (colour and designs), you should go for an acrylic awning. 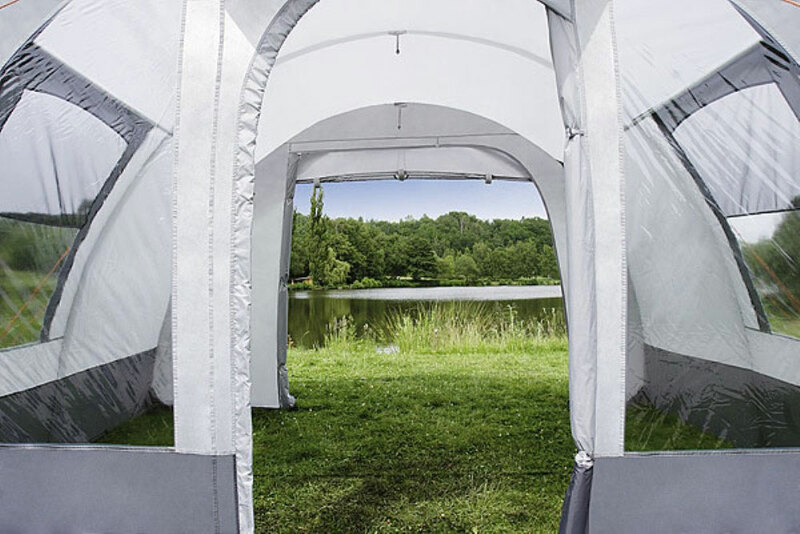 Once you have selected a caravan awning that best suits your needs, install it and you will be ready to enjoy your caravanning journey, in and out of your caravan. Alan Grahams is your trusted local caravan dealership that has been serving all caravan needs of Aussies for more than 40 years. Our specialty includes the sale of new and used caravans from Concept, Newlands, Jurgens, and Essential. We also own a fully equipped service workshop to cater for your caravan repair in Cary Street, Wyoming. Led by enthusiastic caravanners, we are happy pass on any advice to our customers and our blog is fully dedicated to that. Free standing: made from the same materials as tents and simply attached and detached if you want. Free standing caravan awning has four walls and one roof. Porch awning: Porch caravan awning features three walls and one roof and your caravan functions as the fourth wall. Conventional caravan awning: Conventional caravan awning has one roof and changeable walls. Annex: Annex caravan awning consists of one roof and changeable walls and can be linked to multiple awnings. Sun canopy: Sun canopy only has one roof.